If you participate in various speech language and education related forums you may frequently see a variation on this question: “How would you assess and treat a child with word finding difficulties?” Before I provide some recommendations on this matter I’d like to talk a little bit about what word-finding is as well as what impact untreated word finding issues may have in a child. “Tips of the tongue” or responses characterized by word blocks, pauses, fillers (um, ah, etc), repetitions, metalinguistic or metacognitive comments such as “I know”, “I don’t know”, etc. ”Twists of the tongue” which include phoneme omissions, substitutions and additions such as cactus → catus; octopus →opotus, etc. Further complicating the above may be the speed (some delay or no delay) with which they retrieve words as well as accuracy/inaccuracy of their retrieval once the words are retrieved. Additionally, a number of secondary characteristics may also play a role which include gestures (e.g, miming a word, frustration, etc) as well as extra verbalizations (metalinguistic and metacognitive comments). At discourse level, students with word-finding deficits typically occupy one of two categories: productive vs. insufficiently productive language users. While their narrative language profile may be marked by frequent pauses, word fillers, as well as word and phrase revisions and repetitions. Moreover, word-retrieval deficits are not limited to discourse, they are also found in reading tasks. There word-finding issues may manifest as omitted words or almost stuttering/cluttering like behaviors. Interestingly German and Newman (2005; 2007) found that students with word retrieval difficulties are able to successfully correctly identify the words they missed during oral reading tasks in silent reading recognition tasks. So how can word-finding deficits be assessed? Please note that common comprehensive language tests will not do a good job of teasing out word–finding deficits. While you may notice some word finding errors on the Sentence Formulation subtest of the CELF-5, you may need to use specialized tests in order to assess word finding at word and discourse levels. Presently there are three standardized tests available for that purpose: Test of Word Finding Third Edition, The Test of Adolescent/Adult Word Finding, as well as The Test of Word Finding In Discourse created by Dr. Diane German (available via PRO-ED). However, in the absence of these tests, you can assess word-finding at both word and narrative levels using the adaptations of standardized tests as well this informal narrative assessments. For example, you can use the Expressive One Word Picture Vocabulary Test (EOWPVT) in order to test the efficiency of the student’s word retrieval in single word context. Here, the goal is not necessarily to test their expressive vocabulary knowledge but rather to see what type of word finding errors the students are making as they are attempting to correctly recall the visually shown word. Depending on the extent of the child’s word finding deficits you may have some very useful information to derive from the presentation of this test. To illustrate, I recently informally administered applicable portions of this test to a four-year old Russian speaking preschooler. Based on his performance I was able to determine that his errors are primarily Error Pattern 3 – Form & Segment Related Phonologic Errors or ”Twists of the tongue”. This was further confirmed when I had the child to participate in the narrative retelling task. So where can we find reputable evidence-based practice information on effective assessment and treatment strategies for word finding deficits? My answer is invariably to go and explore the resources made available by the “queen of word-finding” Dr. Diane German, who has conducted an extensive amount of research on this particular topic. Start with her website, entitled Word Finding. She has a lot of good information to offer there for free to both speech language professionals as well as parents. 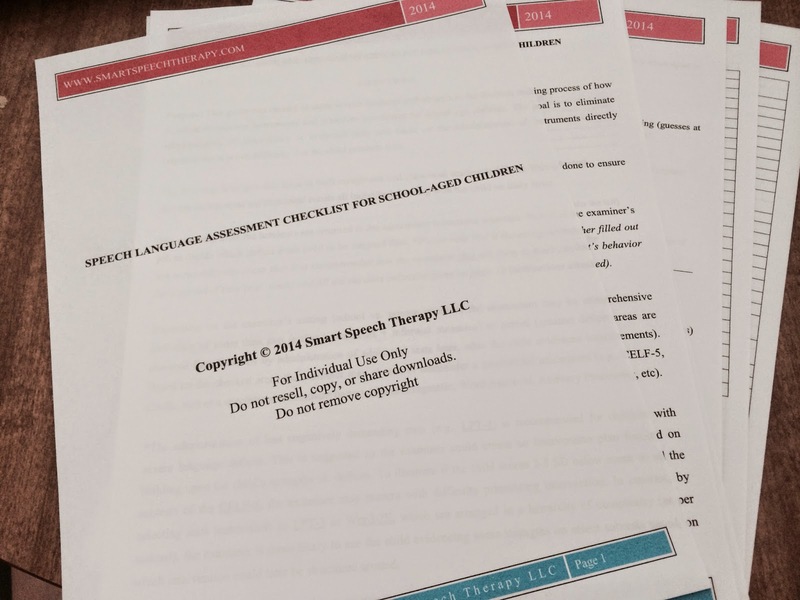 Take a look at her recommended materials and resources, they are very valuable and incredibly helpful when it comes to assessing and treating children with word finding deficits. And if you get the opportunity take the online course on word finding deficits in children that she offers. I took it several summers ago through National Louis University. She will also be offering it once again this upcoming winter (SPE 525 On Line, Word Finding Intervention) at National Louis University. I highly recommend that you take it, but if you can’t you can’t take it, she also offers a CEU course through Northern Speech Services. Taking her course through National Louis University changed my entire outlook on how to work with children with word finding deficits. I even wrote about it on ASHAsphere HERE. So the next time someone asks you a question on how to assess or treat word finding you know exactly where to refer them for evidence-based practice resources. So have fun and evidence-base practice on! PS. Calculating percentage of word-finding difficulties in children. Dockrell, J.E., Messer, D., George, R. & Wilson, G. (1998). Notes and Discussion Children with word-finding difficulties-prevalence, presentation and naming problems. International Journal of Language & Communication Disorders, 33 (4), 445-454. Disclaimer: The views expressed in this post are the personal opinion of the author. The author is not affiliated with dr. Diane German nor PRO-ED publications in any way and was not provided by them with any complimentary products or compensation for this post. According to the New York Times Article which summarized the results of Johns Hopkins University study: A TYPICAL STUDENT WILL LOSE ABOUT ONE MONTH OF LEARNING OVER THE SUMMER TIME. But then again it is summer and kids do want to have fun! So with the recent heatwaves across the country, how about combining fun with learning on those sweltering summer days when lazing at the pool or going outside may not be the best option. Let’s take a look at the few common and readily available board games, which can be used to improve various language abilities: including vocabulary knowledge, problem solving, questioning, storytelling as well as other language related skills. A to Z Jr– a game of early categorizations is recommended for players 5 – 10 years of age, but can be used with older children depending on their knowledge base. The object of the game is to cover all letters on your letter board by calling out words in specific categories before the timer runs out. This game can be used to increase word finding abilities in children with weak language skills as the categories range from simple (e.g., basic concepts) to more complicated (e.,. attributes). This game is great for several players of different age groups, since younger children or children with weaker knowledge and language skills can answer simpler questions and learn the answers to the harder questions as other players get their turn. Password Jr-is a great game to develop the skills of description. In the game you guess passwords based on the one word clues. 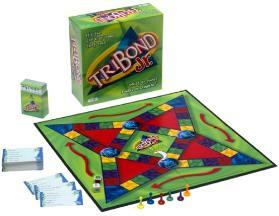 This game is designed to play with children ages 7 years and older as long as you help the non readers with the cards. It’s great for encouraging children to become both better at describing and at listening. You may want to allow the children to select the word they want to describe in order to boost their confidence in own abilities. Provide visual cheat sheets (listing ways we can describe something such as: what does it do, where does it go, how can we use it etc) to the child as they will be much more likely to provide more complete descriptions of the target words given visual cues. 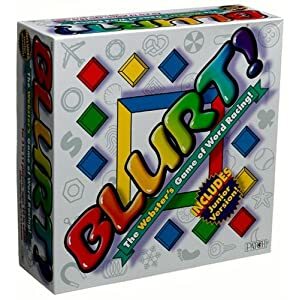 Blurt – a game for children 10 and up is a game that works on a simple premise. Blurt out as many answers as you can in order to guess what the word is. Blurt provides ready-made definitions that you read off to players so they could start guessing what the word is. Players and teams use squares on the board strategically to advance by competing in various definition challenges that increase language opportunities. 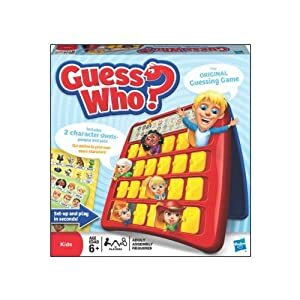 Games the facilitate asking questions: Guess Who (age 6+), Guess Where (age 6+), and Mystery Garden (age 4+) are great for encouraging students to ask relevant questions in order to be the first to win the game. They are also terrific for encouraging reasoning skills. Questions have to be thought through carefully in order to be the first one to win the game. Game that facilitates Story Telling as well as Perspective Taking: Fib or Not (ages 10+) encourages the players to fool other players by either telling an outlandish true story or a truly believable made up story. For the players who are listening to the story, the objective is to correctly guess if the story teller is fibbing or being truthful. Players advance by fooling the other players or by guessing correctly. Games that improve verbal reasoning and problem solving abilities: 30 Second Mysteries (ages 8-12) and 20 Questions for Kids (ages 7+). 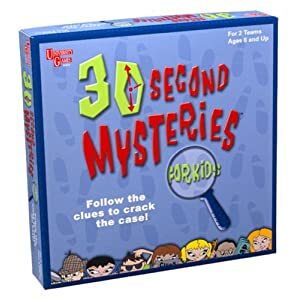 In 30 Second Mysteries kids need to use critical thinking and deductive reasoning in order to solve mysteriously sounding cases of everyday events. Each clue read aloud reveals more about the mystery and the trick is to solve it given the fewest number of clues in order to gain the most points. In 20 Questions for Kids, a guessing game of people, places, and things. Children need to generate original questions in order to obtain information. Here again, each clue read aloud reveals more about the secret identity and the trick is to solve it given the fewest number of clues. Now that you know which games to play and why, how about you give it a try.